Shade: Make a fashion statement with these vibrant pink false nails. Crafted with Ultra Flex Technology, which allows the false nails to adapt to the natural nails. No more worrying about smudges, chips and the only thing you should worry about its flaunting with style. 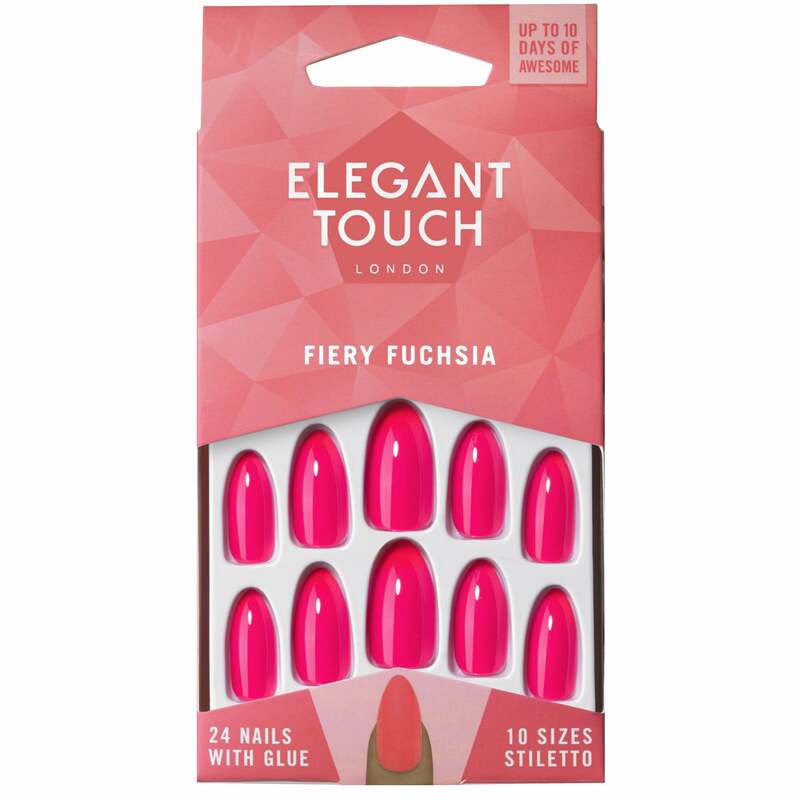 Elegant Touch Brand is full of useful tools & accessories that enhance, Protect and look after your nails. With removers that take off false nails and brilliantly designed Deisner nails. With a long-lasting, smudge-free & chip-free finish, these Elegant touch nails can be filed into any shape.